Nicole M Iizuka: Fig & Olive || Niki figured out how to collage in Picasa! 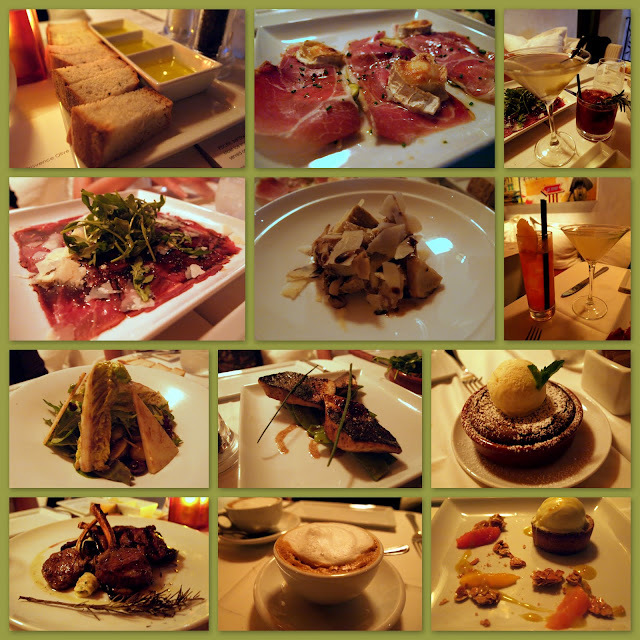 Fig & Olive || Niki figured out how to collage in Picasa! It's been quite a while since this dinner actually happened, but the procrastination bug bit & it bit hard. So I'm finally getting around to organizing the leftover photos/posts/whatnot that need to make it up on the blog to elicit drool worthy emotions from you my dear readers! The weekend after they opened, my friend organized a little dinner group to check out the menu since their opening party simply whet my appetite by serving mini bits of succulent bites but nothing substantial enough to fill my tummy. I could give you the rundown of each item, describing in detail the complex flavors, the enticing aromas etc, but in reality it was all amazing. There's my generalization. We didn't order one bad thing on the menu. Obviously there were highlights like the campfire smoked lamb chops and the olive oil ice cream, but really just a fantastic meal. The only thing I'd say is that gorging out on jamon imberico, fresh fish & savory cocktails did a number on my wallet... while I wanted to eat everything on the menu, I might reserve my second trip for when my parents ask me "where shall we go out to dinner?"